Retailer consortium MCX said it will postpone the rollout of its CurrentC mobile payments service and shift its focus to partnering with financial institutions. Announced in 2014, the QR-code based payment service was positioned as a merchant-controlled alternative to third-party wallets such as Apple Pay and Samsung Pay. 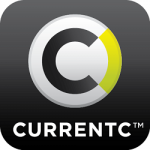 MCX launched a test run of CurrentC in Columbus, Ohio, last year. The results of that pilot were partially what compelled MCX’s decision “to concentrate more heavily in the immediate term on other aspects of our business including working with financial institutions, like our partnership with Chase,” MCX CEO Brian Mooney said in a statement. As a result of that pivot, MCX will need fewer resources, resulting in a staff reduction of about 30 employees. “These are very tough decisions, but necessary steps,” Mooney said. CurrentC’s roots date back to 2012, when merchants banded together to form MCX—then known as Merchant Customer Exchange—in a bid to take more control over the burgeoning in-store mobile payments space and avoid paying transaction fees to card issuers. The group was successful in landing many big-name merchants, including Walmart, Target and Best Buy, but CurrentC experienced a rocky path from the beginning, including delays and a hack in fall 2014 that exposed the email addresses of some participants in a pilot phase. Around the same time, a media flap arose over complaints that some MCX merchants had turned off NFC capabilities on their POS systems to prevent consumers from using Apple Pay. MCX members also have begun developing their own mobile solutions, including Walmart Pay, which yesterday rolled out in Arkansas and Texas. “Getting a consortium of competing companies to agree on a solution that works for all is difficult at the best of times, let alone in the fast-moving and dynamic landscape we’re currently in for mobile payments,” Bobbi Leach, CEO of e-commerce payments provider FuturePay, tells Paybefore. However, MCX had also announced positive developments in recent months, including news that the Columbus pilot would expand to additional markets, as well as its integration with Chase Pay. Industry observers have noted that partnering with FIs could lead to banks competing for payment volume outside of the traditional payment network infrastructure—which is in line with MCX’s goals. Chase’s involvement also could compel other major banks to sign-on with CurrentC, experts suggest.